Josie Tyrell, art model, teen runaway, and denizen of LA's 1980 punk rock scene, finds a chance at real love with art student Michael Faraday. A Harvard dropout and son of a renowned pianist, Michael introduces her to his spiritual quest and a world of sophistication she had never dreamed existed. But when she receives a call from the Los Angeles County Coroner, asking her to identify her lover?s dead body, her bright dreams all turn to black. As Josie searches for the key to understanding his death, she finds herself both repelled and attracted to Michael's pianist mother, Meredith, who holds Josie responsible for her son's torment. Soon, the two women find themselves drawn into a twisted relationship reflecting equal parts distrust and blind need. Passionate, wounded, fiercely alive, Josie Tyrell walks the brink of her own destruction as she fights to discover the meaning of Michael's death. 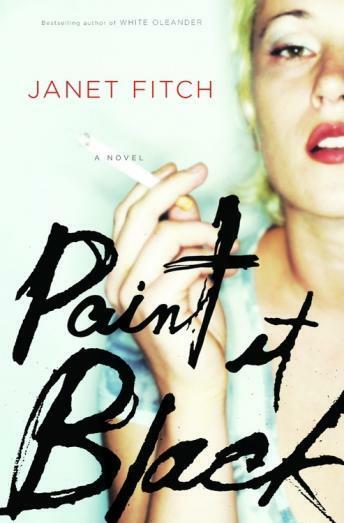 With the luxurious prose and emotional intensity that are her hallmarks, Janet Fitch has written a spellbinding new novel about love, betrayal, and the possibility of transcendence.